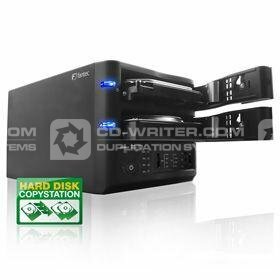 With the ADR HD-Producer you are able to duplicate SATA Hard drives easily. Simply create one identical copy of your master by pushing one button. Through a DUP mode you are able to work with this duplicator without a PC. The standalone hdd copier informs you with optical and acoustic signals. ADR . HD-Copytower . with . 1 . target .